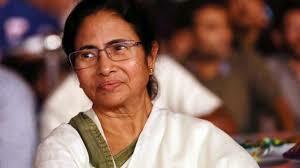 In a letter demanding the promises made to the Matua community in light of the Citizenship amendment Bill a letter was written to Mamata Banerjee reminding her obligations . The letter called Trinamool Congress a 'fake' party . An inter-community tussle enraged on whether the letter was indeed written by Boroma (as they call 102 year old Binapani Devi) or not. Shantanu Thakur, head of All India Matua Mahasangha, said, " Mamata Banerjee had earlier promised us that she would look after our interest but I think she has betrayed the Matua community. She wants the Matuas to be pushed back to Bangladesh. This is extremely painful for our community and that's why Boroma wrote to her." Shantanu currently leads the BJP faction of the community and actively hosted PM Modi during his rally. However, Trinamool Congress MP and wife of Boroma's elder son Kapil Krishna, Mamata Bala Thakur, accused Shantanu Thakur of forging Boroma's signature in the letter. "I don't think it is her signature. Boroma can't write such a letter. She is a 100-year-old woman, and I don't think she can sign such a letter," claimed the MP from Bongaon. Mamata Bala Thakur concluded that while the Matuas have been demanding passage of the Citizenship Bill, they did not support the Bill in its current form.